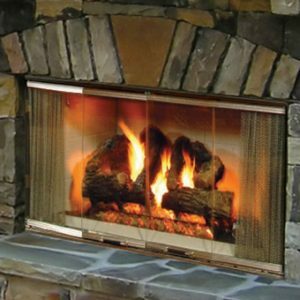 Portland Fireplace Shop offers outdoor wood fireplaces to completely transform your outdoor living space. Create a fun and functional living area for the whole family to enjoy, while producing an ambiance that only a live fire can provide. With our selection of wood outdoor fireplaces you can take your outdoor experience to a whole new level. 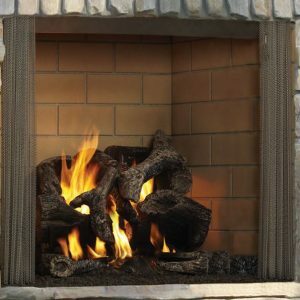 Find your perfect outdoor wood fireplace today at Portland Fireplace Shop. The Villawood is a wood burning fireplace at home in a variety of outdoor spaces. Upgrade your outdoor kitchen, or enhance your living area with style and warmth. Attractive stainless steel surround accents your décor. 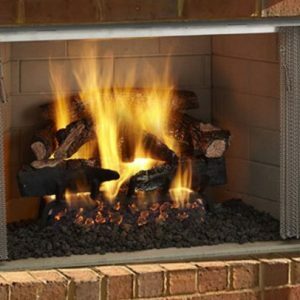 Add the Villawood outdoor fireplace to your deck or patio and enjoy the experience of a wood fire.